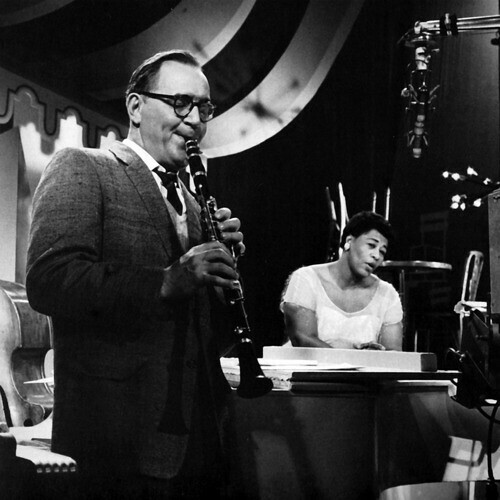 It may seem that elite musicians like Benny Goodman excel on stage because of inborn traits. But despite any genetic factors that might affect our musical potential, the mastery that experts display under pressure actually results from their having acquired specific performance skills. Performance skills come into play before, during, and after an event. Bear in mind that musicians of any level, even beginners, can build up performance skills, provided that the material they play or sing is easy for them to execute. Moreover, without gaining performance skills, aspiring musicians are almost certain to be anxious on stage – that is, the lack of these abilities doesn’t merely represent a skill gap, it causes performance anxiety. Savvy music educators, therefore, emphasize performance skills throughout their students’ training, starting from their first lessons. I’ve created the following assessment to help musicians weigh their facility with performance skills and overcome any weaknesses. 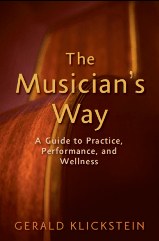 It’s excerpted from Chapter 10 of The Musician’s Way, and you can download a free pdf version of this and other practice and performance aids at MusiciansWay.com. If any of these 25 statements aren’t true for you, see Part II of The Musician’s Way for step-by-step guidelines to grow your stage power. 1. I understand how performance stress affects me before, during, and after a concert. 2. I don’t feel threatened by performance stress. 3. I’m aware of the personal, task-related, and situational causes of performance anxiety in general and with me in particular. 4. When I have trouble on stage, I always know how to practice to bring about improvements in my next performance. 5. Of the five facets of performance preparation (artistic, technical, physical, mental/emotional, organizational), I know the areas in which I’m capable and any in which I need to make progress. 6. In the areas of preparation in which I’m weakest, I have plans for how to advance. 7. On the day of a concert, I know how to prepare myself and my things to minimize stress. 8. Upon arrival at a venue, I’m capable of managing the backstage environment, supervising stage setup, and working with any staff. 9. When I’m restless backstage, I use specific techniques to ease my discomfort and awaken my creativity. 10. I feel secure walking on stage, bowing, and carrying out all of the other aspects of stage deportment. 11. I can project a stage presence that contributes to an audience’s enjoyment of my performance. 12. I’m able to start and end pieces with consistent control. 13. During a performance, I know how to employ tactics—such as deep breathing, mental focus, and positive self-talk—that lessen the unwanted effects of arousal. 14. Even if I’m nervous, when performing accessible material, I can still be sufficiently accurate and expressive. 15. Performing often stimulates me in constructive ways and helps me be creative. 16. When performing, I’m committed to giving my listeners the best possible experience; I don’t give in to self-conscious worries. 17. I can speak to an audience in a personable way. 18. I can handle on-stage errors to curtail their musical impact. 19. While performing, I let errors go and seldom become distressed. 20. After a concert, I’m able to accept my performance and not berate myself for slip-ups. 21. Following a performance, I’m supportive of my colleagues and courteous to my listeners. 22. I deliberately evaluate my performances. 23. I regularly practice performance skills by doing private run-throughs and performing for peers. 24. I know where to find expert help for any performance problems that I can’t solve on my own. 25. I’m confident that my performance skills either suffice or are improving. Related posts can be found under the Music Performance category. Excerpted from The Musician’s Way by permission of Oxford University Press. Want additional help to build your musical abilities or career? Contact me to discuss possible coaching via Skype. Hi, Jerry, This is a great check-list. I often have the folks in my performance anxiety classes do a check-list before and after class. I’m going to begin using yours (giving credit to you and The Musicians Way *of course*) and see how it goes. It’s a good one, encompassing many areas that a performer needs to have all packaged up and ready to go. 🙂 Thank you. Thanks, Helen. Please send me feedback regarding how your clients respond to and benefit from the assessment. I’ve found that musicians grow from using it in many ways – for one, they become aware of the performance skills they possess and lack, and then they feel empowered to take action to resolve the issues that undermine their performances. Great to have you participating in the MusiciansWay community! Great article. I totally agree. I still don’t think that your potential relies on “inborn” traits as you put it. I believe that potential is driven by your mindset and determination. In my opinion you can practice anything including your personal traits towards practice.